Wheels take a lot of abuse. They contribute most to the rotational weight of a bicycle, which is more important than weight anywhere else on the bike. And manufacturers are often cutting corners in the wheels sold with bikes these days. A wheel upgrade is often the best bang for your buck in terms of enjoyment and performance. 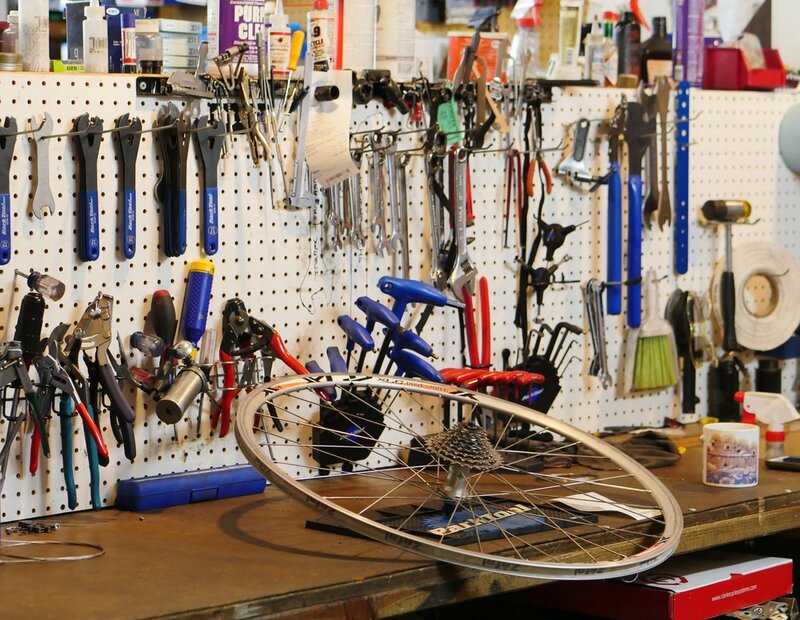 Our wheels are built by hand with parts chosen for you and your type of riding. Your new wheels get serviced at no additional cost for the life of the rim. For more info on wheels and to get started with a set, built for you and your riding, drop us a message.